Southport Financial Services just bought an affordable apartment complex in West Palm Beach for $12.6 million, according to a press release. The 130-unit Colony Park rental community at 8215 Belvedere Road traded for about $97,000 per apartment. The buyer, FF Colony Park LLC, is an affiliate of the Tampa-based affordable housing real estate firm. Records show the affiliate is led by J. David Page. Southport buys and renovates affordable housing projects, and has a portfolio of nearly 17,000 units across the country, according to its website. CBRE’s Timothy Flint and Richard Tarquinio represented the seller, Colony Park Ltd. 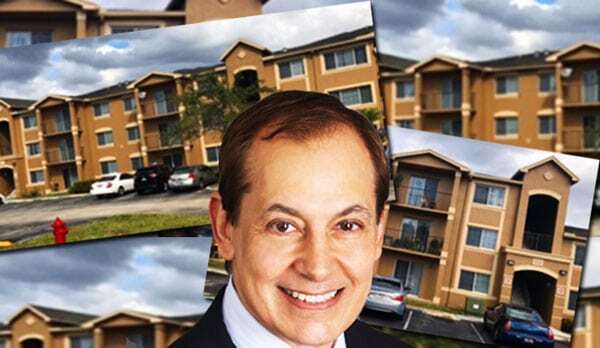 The company is led by Chris Wohlbrandt, who is also a principal at the Naples-based real estate firm Golden Realty Management. Previous sale information was not available online. Rents at Colony Park range from $945 a month for a two-bedroom apartment to $1,095 a month for a three-bedroom, according to a manager at the complex. Features at the 6.5-acre development in the Golden Lakes neighborhood, built in 2002, include a clubhouse, business center, swimming pool, fitness center and a playground, according to the release. Colony Park apartments was funded through a tax credit system, Tarquinio said. About 1,000 tax credit-funded units have been built in the past 10 years in Palm Beach County, but it’s still a far cry from the rate at which the population has been growing, Tarquinio said. The county has been trying to encourage more development of affordable and workforce housing amid rising home prices and rents. In November, median single-family home prices jumped 10 percent to $330,000 in Palm Beach County. Meanwhile, rents rose 2.6 percent annually to $1,429, according to a Cushman & Wakefield report. The deal marks Southport’s second acquisition in the county over the last two weeks. Last week, it paid $15.8 million for Marina Bay apartments in Lantana. © 2015 Southport Financial Services, Inc.